Found 7 file extension associations related to 20-20 Giza Studio and 7 file formats developed specifically for use with 20-20 Giza Studio. 20-20 Giza Studio is the leading sales & planning tool for furniture professionals not operating in a CAD-based environment. 20-20 Giza Studio combines a user-friendly interface with the industry’s most extensive line of manufacturer catalogs and tools to help you take your projects from sales through design with stunning ease and efficiency. 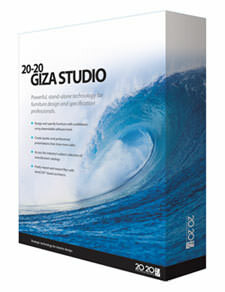 The 20-20 Giza Studio software seems to be old or discontinued. If you need more information please contact the developers of 20-20 Giza Studio (20-20 Technologies), or check out their product website.